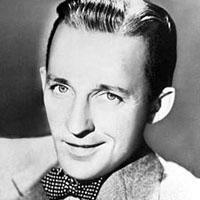 Bing Crosby was, without a doubt, one of the most popular multimedia stars of all time. In fact he is currently the most electronically recorded human voice. He has been influential to some of the greatest male singers of his era who followed him such as Frank Sinatra, Perry Como, and Dean Martin. Above all Bing Crosby was a radio star. He used the radio to reach millions of Americans in a new, more personal way, creating a more individualized and intimate experience between him and his audience. This ranking lists all the albums he`s ever recorded. Vote! 21 Bing Crosby - Hey Jude/Hey Bing!